The thought of doing the dishes after spending an hour or so in the kitchen making dinner can often be enough for anyone to forgo a homemade meal and order some takeout instead. But it doesn't have to be so bad. 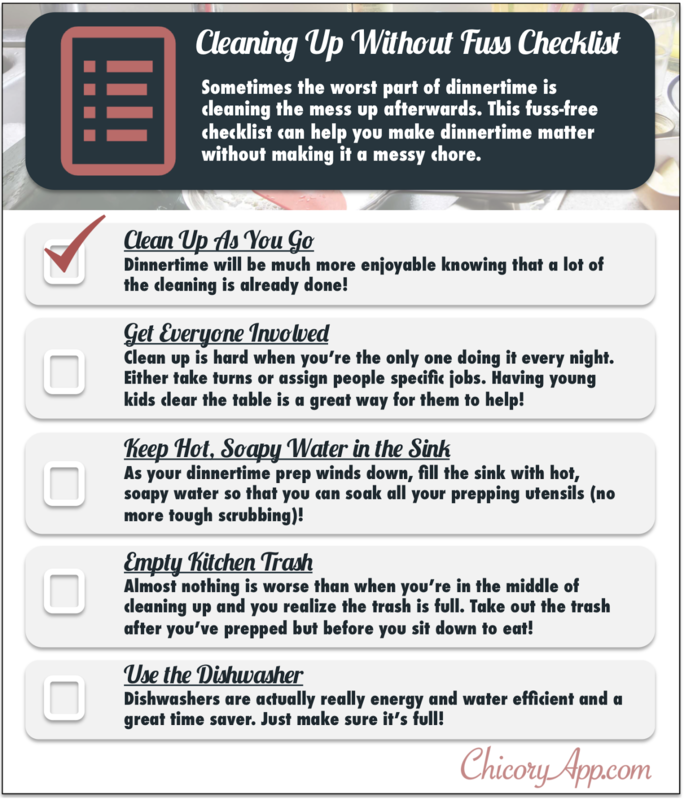 Yes, cleaning up can often take some time but this checklist can help you speed up your routine so you can spend more time eating with family and friends and less time around the sink waiting for your pots and pans to finish soaking.